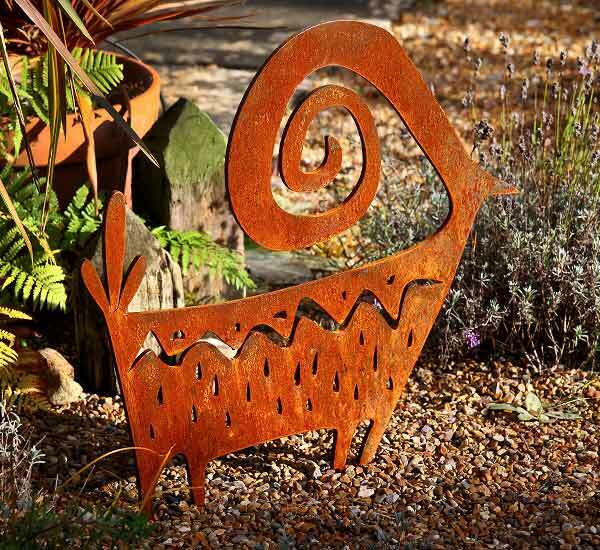 Inspired by cave paintings in Andalusia, this small contemporary garden sculptures one of our favourites with real character. 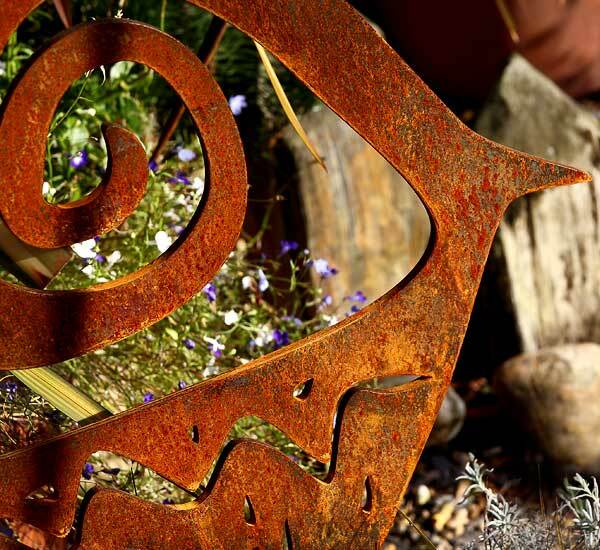 Place the sculpture in the garden amongst flowers, or using a wooden base, on the patio or in the conservatory. For base options please get in touch, the only limit is your imagination. 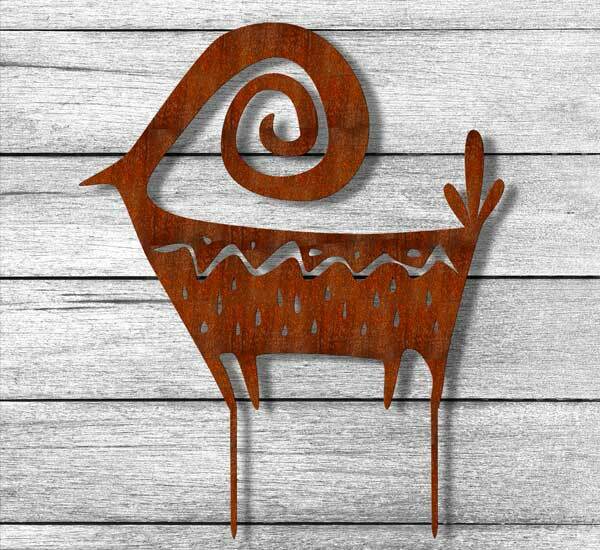 Crafted from metal, sculptures are allowed to rust naturally. We love the finish that evolves with time, the rich warm hues, glowing in the sun. 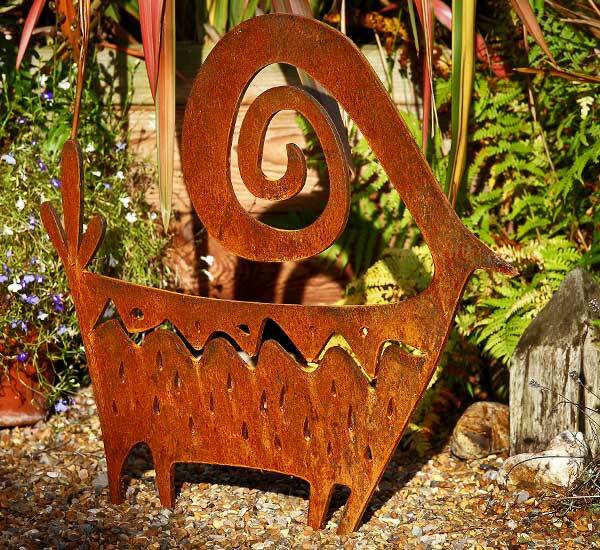 Delivery – All of our sculptures are delivered to you via a courier service. 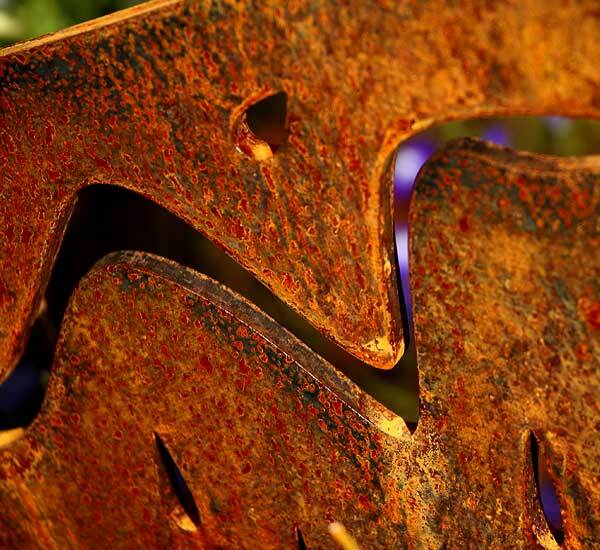 We aim to deliver your sculpture within 6 – 10 days from the receipt of your order. If you need your sculpture sooner please contact us and we will do our best to get it to you for the required date. Installation is easy– incorporated into the sculptures design are ground spikes. Simply push the sculpture into the ground. If the ground is hard try making a pilot hole first with a garden cane or if the going is really tough we have even used a cordless drill with a 10mm drill bit.